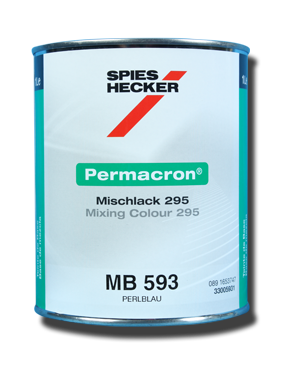 Permacron®Base Coat Series 293 and 295 is a high-grade base coat from our "Basis-System" for all two-stage finishes. It has universal application qualities and may be used for all passenger cars, buses and commercial vehicles. Base Coat Series 293 is mixed with Supercryl Reducer 3054 and can be quickly and easily applied. When recoa ted with Permacron®/Permasolid®2K clear coat, it produces a high-gloss, weather resistant top coat.